On 25 August 2015 we responded to a funding alert in response to displacement in the Gambella region of Ethiopia. 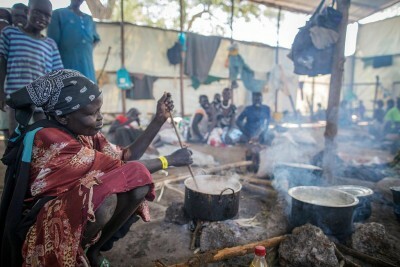 UN High Commissioner for Refugees (UNHCR) data states that close to 216,604 South Sudanese refugees have arrived in Gambella escaping the conflicts ongoing in South Sudan since mid-December 2013. According to the UN Office for the Coordination of Humanitarian Affairs (OCHA)’s Financial Tracking Service (FTS), donors have committed or contributed US$304.4 million of humanitarian assistance to Ethiopia so far in 2015. The United States is the top donor, having contributed or committed US$152.8 million to the crisis. So far in 2015, US$11.1 million has been disbursed to the Gambella region of Ethiopia, of which 87.4% is for assistance to displaced populations. Out of total funding in 2015, US$77 million is allocated to support refugees or internally displaced persons (IDPs) elsewhere in Ethiopia (not including Gambella).